2015 marks 80 years since Mr. Max Factor Junior opened the doors of his Hollywood make-up studio, transforming the looks of Hollywood's elite. His most iconic client of all? Norma Jeane. Norma Jeane entered his Blonde Room in the late 1940s as a brunette, and thanks to Mr. Max Factor emerged complete with platinum blonde hair, a beauty look fit for Marilyn Monroe. 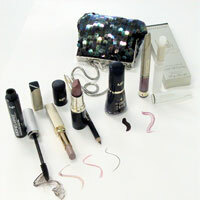 Since then Max Factor make-up was used to create an icon in Marilyn Monroe. Max Factor Global Creative Design Director, Pat McGrath comments on the signing, 'Marilyn made the sultry red lip, creamy skin and dramatically lined eyes the most famous beauty look of the 1940's and it's a look that continues to dominate the beauty and fashion industry. It is the ultimate look that defines glamour – nothing else compares. Ruby Tuesday, inspired by one of Marilyn's favourite Max Factor lipsticks, is still my go-to red today for an instant shot of glamour, and continues to be one of the most popular shades for both make-up artists and real women. It's the ultimate glamorous red." 'Through expert diagnosis and make-up artistry, Norma Jeane's facial features were pulled out and dramatized through make-up. Her skin was creamy and flawless, the shape of her eyes was elongated through clever use of eyeliner and her lips were accentuated with a sultry red shade, becoming the key focal point of the entire look. 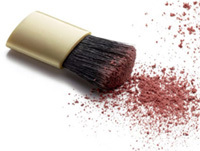 Through make-up artistry and the right products, Max Factor helps women today identify their best features so they can undergo their own glamour transformation." 'Marilyn Monroe is the ultimate glamour icon and this pairing is a natural fit," said Nick Woodhouse, President and CMO of Authentic Brands Group. 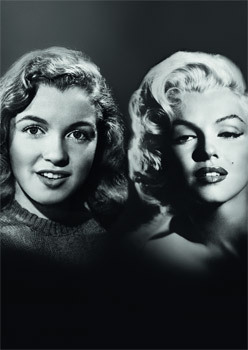 "We are thrilled to bring Marilyn and Max Factor together again in this exciting partnership." Marilyn Monroe famously said, 'I used to think as I looked out on the Hollywood night, -There must be thousands of girls sitting alone like me dreaming of being a movie star. But I'm not going to worry about them. I'm dreaming the hardest." With help from Mr. Max Factor, who gave her the ultimate glamorous transformation from Norma Jeane to the stunning Marilyn Monroe, nothing could hold her back from fulfilling her dreams. Esi Eggleston Bracey, Vice President of Max Factor Cosmetics, P&G says 'Max Factor have always believed that glamour matters – and that glamour itself exists beyond make-up, it's an approach to life that Marilyn embodied so perfectly. It's through this attitude to life that women are encouraged to be adventurous, to push themselves, and to ultimately have the confidence and passion to fulfil whatever it is that they want. With Marilyn as our new ambassador we're preparing for an extremely exciting 2015 – a year where we will be focusing our attention on reigniting the love and playfulness of glamour with consumers through a series of social and brand campaigns that will propel Max Factor to the front of women's mind as the brand synonymous with glamour." The "original blonde bombshell" is set to feature as both Norma Jeane and Marilyn Monroe in new TV, print and online campaigns, as well as PR and social, rolling out Globally from 6th January 2015.